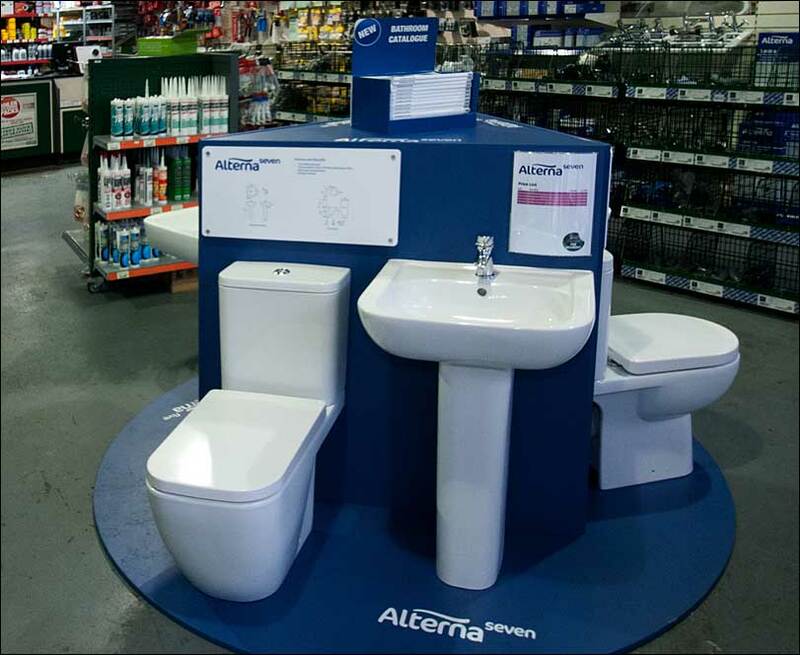 With the launch of the Alterna bathroom suites, Graham Plumbers’ Merchant wanted to effectively promote the three different ranges on one floor-standing retail display. At the same time they wanted to showcase the different features of each range including the technical information. By creating a triangular, floor-standing hub, we were able to create an island display that would stand out in the busy Graham’s stores. Merit managed the complete fulfilment process, distributing the retail displays and all client product to each of the 121 UK stores. 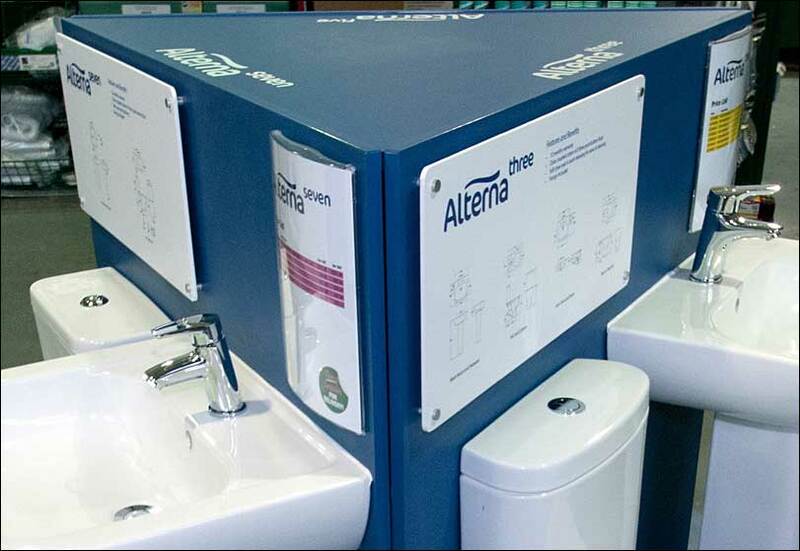 We then installed them in the required location fitting the client’s product, to create the completed display. This successful roll-out was followed by our “post roll-out” support service. This included holding stock of the display units for any maintenance requirements and new store openings.